When Kelli Bosak learned that she needed an education in social work—if she wanted to address greater social injustice issues encountered by clients she supported through a two-year AmeriCorps assignment—she applied to the University of Chicago School of Social Service Administration. “There was only a certain amount I could do in providing service without the skills and training of a social worker,” Kelli said of her time working in the LIFT – Philadelphia office where she served as a site coordinator, overseeing client service, volunteer management, and office operations. Kelli, who grew up in Libertyville, IL, earned her undergraduate degree at the University of Michigan, majoring in French and anthropology. While there, she did a study abroad cultural immersion in Senegal, a French-speaking country on the west coast of Africa. When she returned to Michigan, she taught English as a Second Language to French-speaking asylum seekers at a refugee shelter in Detroit. She joined AmeriCorps after her graduation. At the University of Chicago, Kelli served as an International House Community Fellow. 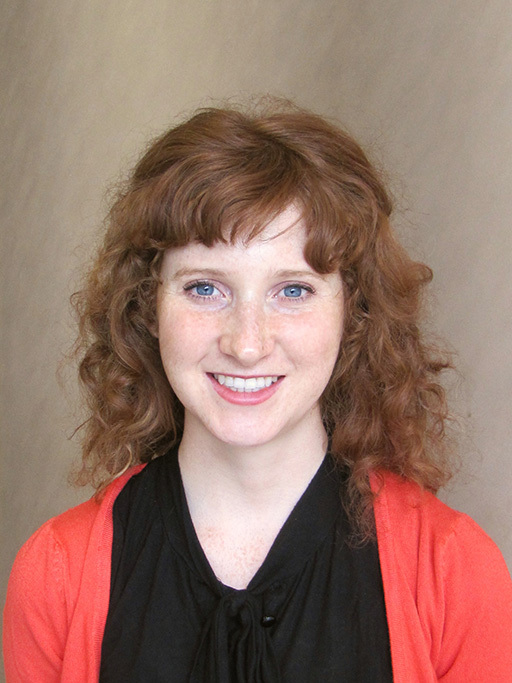 Through Laura Rosenberg, AM ’13, staff member at International House, Bosak learned of the Davis Projects for Peace. Inspired by how a series of conversations with her grandfather on his life gave her a lasting connection to him, she proposed an intergenerational oral history project for Chicago’s South Side. She believed that increasing intergenerational awareness will reduce antagonism between youth and seniors. Her proposal earned a 2014 grant from the Davis Projects for Peace. Funded by Kathryn W. Davis on her 100th birthday, the Davis Projects for Peace support creative techniques for engaging participants to reduce conflict. Each year the Davis Projects program invites students from more than 90 partner schools to make proposals. It funds the 100 most innovative projects. Kelli said she also was inspired to propose the oral history project by the older adults she worked with at the University of Chicago Outpatient Senior Health Center at South Shore, the site of her first-year field placement. She noted that the common lack of understanding between the generations often plays out in conflict. “There can be a lot of fear between youth and older adults in the community. If youth can learn lessons of the past as told by people from their own community, they can gain a new perspective,” she said. She also hopes the exposure to young people will empower the seniors to become more active and involved in their community. For the project, Kelli partnered with the Atlas Senior Center at 79th and Stony Island. She paired 40 to 50 voluntary senior citizen-youth participants to complete oral histories, which students presented at a formal program last August. In her second-year field placement, she worked with clients of all ages at the Austin Family Health Center, where she was able to do more behavioral counseling. She also had a chance to work with another distinct population. As one of 31 Albert Schweitzer Fellows for 2014-15, Kelli led a weekly support group for women prisoners in the Cook County jail. That project, incorporating yoga, mindfulness, impulse control, and stress reduction, continued work begun by Kashmir Kustanowitz, AM ’13, and Kathryn Berringer, AM ’14. The Schweitzer Fellows program provides funding for graduate students who address health barriers confronting members of underserved communities.